Following the success of its championship 2018 season, Lipscomb women’s soccer coach Kevin O’Brien had more good news to share Monday. 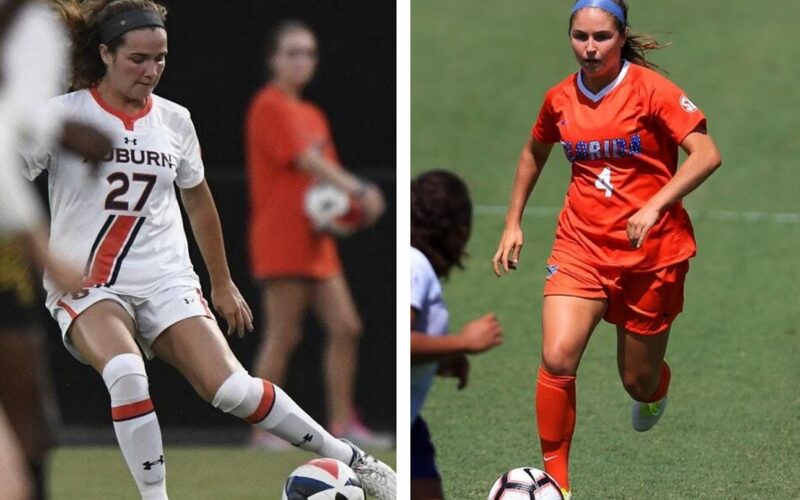 The team announced the arrival of two SEC transfers – forward Cami Rogers from Auburn and midfielder Danielle Van Liere from Florida. Both players are eligible for the 2019 season. Rogers scored two goals in 15 games as a freshman at Auburn in 2018. She tallied 86 career goals at Prattville High School near Montgomery, Alabama. Van Liere appeared in 15 matches over three seasons at Florida. O’Brien said her passing ability from the center midfielder position will provide a boost for the Lady Bisons. Rogers and Van Liere join forward Allie Dunn as Lipscomb’s 2nd and 3rd transfers from the SEC. Dunn played at Arkansas in 2017 and figured to be a promising addition for the Lady Bisons before an injury derailed her 2018 campaign. Lipscomb is coming off its most successful season in program history after finishing with a 15-5-2 record and winning its first-ever ASUN tournament title. The Lady Bisons then shocked Mississippi State in a 1-0, overtime victory in the first round of the NCAA tournament on Nov. 9. The Lady Bisons are already working to repeat as ASUN champions. The team returned to campus last week and began spring training in the weight room. They move to on-field practices this week and will play a handful of exhibition matches later this semester. Lipscomb forward Olivia Doak was named a Second-Team Scholar All-American by the United Soccer Coaches (USC). She holds a 3.86 GPA as a Biology major. The junior scored nine goals and earned ASUN Player of the Year honors in 2018. She also appeared at No. 92 on Top Drawer Soccer’s Top 100 list. Doak, defenders Justis Bailey and Logan McFadden and goalkeeper Kate Mason were each named to the USC’s All-South Scholar Region Team. McFadden, who scored the game-winning goal in an ASUN semifinal victory over Florida Gulf Coast, was named the 55th-best freshman in the country by Top Drawer Soccer.